Can one swing turn a vacant lot into a park? Members of The Red Swing Project think so. With a mission to infuse playfulness in our towns and cities by installing red swings in under-utilized public spaces, The Red Swing Project has hung 112 swings worldwide since its founding in 2007. Here are a few of them. Photos are courtesy of The Red Swing Project; you can find more here. Red swings in Brazil (left) and Thailand (right). 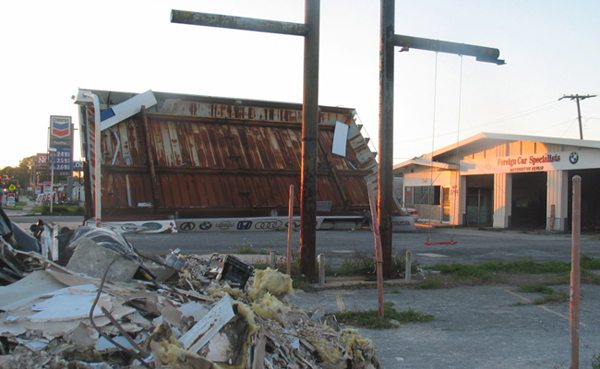 Post-Katrina in New Orleans, La. Can you find the red swing? 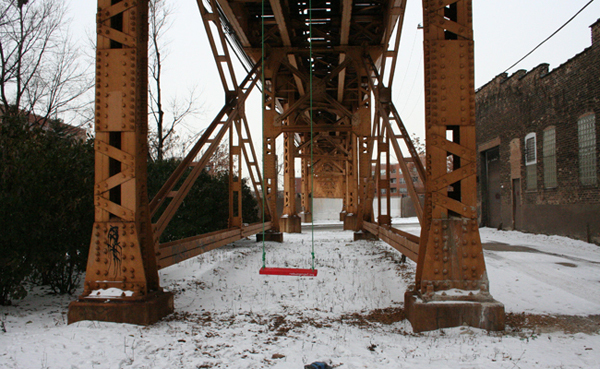 Under the "L" in Chicago, Ill.
After all, children see play opportunities everywhere, so why not insert playful elements throughout our cities and towns? Not all play has to happen on the playground. Similar initiatives highlighted in past posts in our Bright Ideas series include ping-pong tables in public squares, trampolines in sidewalks, and stationary bikes at bus stops. How to: Make a Red Swing Project from Red Swing on Vimeo. 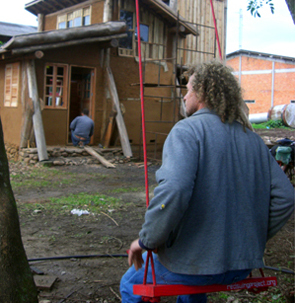 Get more instructions, including a PDF knot manual on the Red Swing Project DIY website.